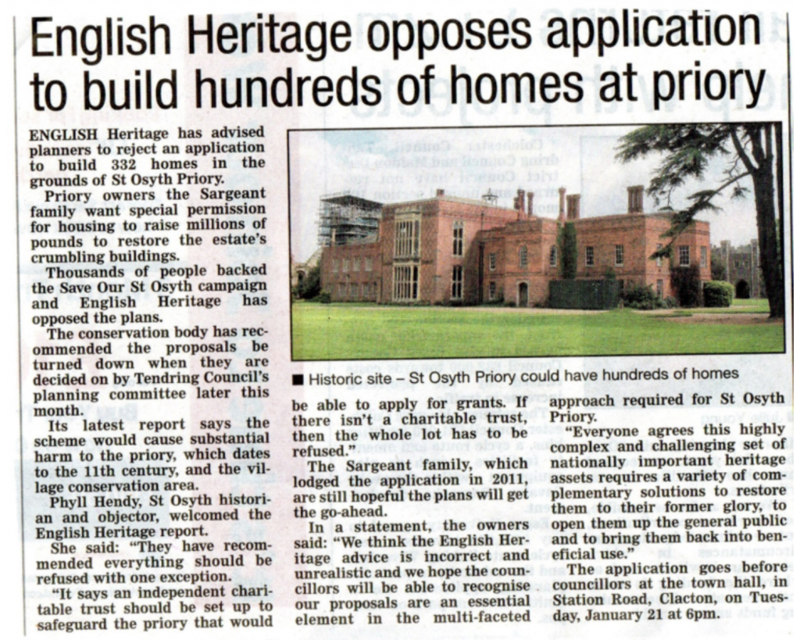 • To preserve the beauty and tranquillity of St. Osyth for posterity. • To safeguard the local wildlife and the natural environment. • To ensure there is no overloading of local facilities such as the doctors’ surgery, the school and other local amenities. • To prevent further congestion of existing roads and the village centre. • To oppose any housing development within St. Osyth which would affect any of the above.